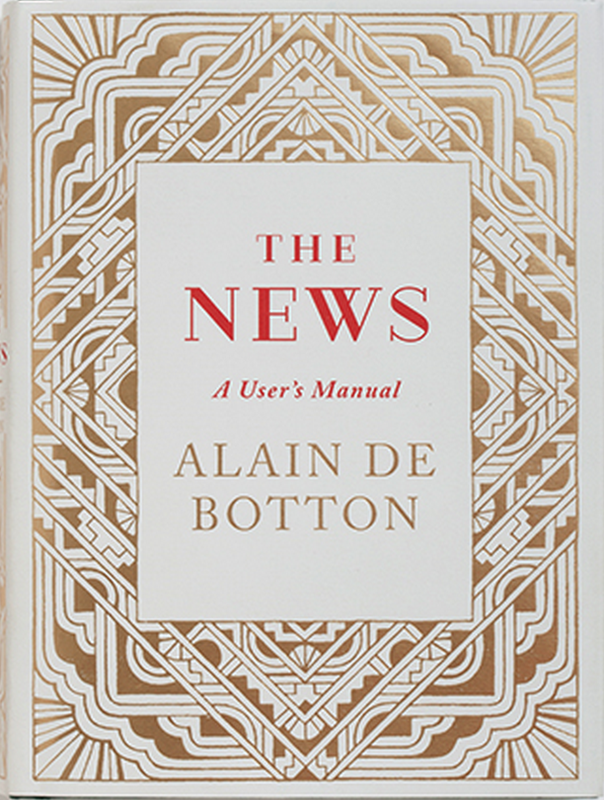 As a serious news junkie who is addicted to the New York Times, I can’t help but want to design a new course on news literacy as I read Alain deBotton’s marvelous book, The News: A User’s Manual (New York, Vintage, 2014). The book is testament to the value of “fresh eyes” on the question of what is news and why it matters. In August, I participated in a panel discussion about news literacy at the Association for Education in Journalism and Mass Communication (AEJMC) with colleagues Adam Maksi, Seth Ashley, and Abby Kiesa. There I noted that producer-centered approaches to news and media literacy can distort by idealizing the field of journalism. I have been teaching about the news media for more than 30 years, and I’ll admit, in recent years, I’ve become more than a little terrified about it. Deconstructing the news with students inevitably yields up familiar arguments about the dangers of concision, frustration with advertising-based business model of news, discussions about bloggers, public relations professionals and citizen journalists, and reflections on the too-cozy relationships between reporters and sources. We can easily map out the many stereotyped representations of “us” and “them” when it comes to global reporting and help students recognize the rise of native advertising (sometimes called sponsored content) in online web platforms. Creating the news with students can be a superficial enterprise. Interviewing skills don’t come naturally to people who don’t know how to listen. Filming events is easier than editing them, students discover. And sitting behind a news desk and reading out loud is a geeky pleasure for some, but the creative work of generating story ideas – well, that’s a challenge for students who have barely mastered the art of the sentence. Plus, as many journalism educators have told me, our students don’t read newspapers or watch TV news. Yikes! What’s a college media studies professor to do? Now along comes Alain deBotton, author of How Proust Can Change Your Life. He blissfully ignores the reigning media studies propaganda about journalism as the first draft of history, essential to the democratic process, dependent upon the First Amendment’s protection of free speech, and all that. He approaches a close look at the news by examining politics, world news, economics, celebrity, disaster and consumption from the point of view of the humanist, with a spirit of openness, wonder and curiosity. His insights will deeply alienate professional journalists while at the same time resonate with ordinary news consumers. He begins by noting that “people seldom attempt to educate us about the words and images proffered to us every hour by the news. It is deemed more important for us to know how to make sense of the plot of Othello than how to decode the front page of the New York Post” (p. 12). In describing how journalists value facts, deBotton notes that “in journalistic quarters, bias has a very bad name,” synonymous with lies and malevolent intent. But deBotton wants us to be “more generous towards bias.” He honors the idea that a bias is a value judgment, an attempt to make facts coherent and organized like a “pair of lenses that slide over reality and aim to bring it clearly into focus” (p. 29). I can imagine a news literacy class using this book as the starting point to explore topics including the construction of authority in journalism, the nature of received ideas (or truisms) that get endlessly recycled in the news, the function of news organizational branding, the visual stereotypes of photojournalism, the power of celebrity culture, the quest for fame, and the psychology of envy. At a time when I now find myself numbingly, achingly desensitized to tragic and senseless gun violence only days after college students were assassinated at a community college in Oregon, deBotton’s reflection on how we must learn to respond to tragedy offers much of value. He writes that the news makes tragedies like this seem unique: “it resists the wider resonance” of recognizing ourselves as implicated with the “misdeeds of other members of our species” (p. 198). 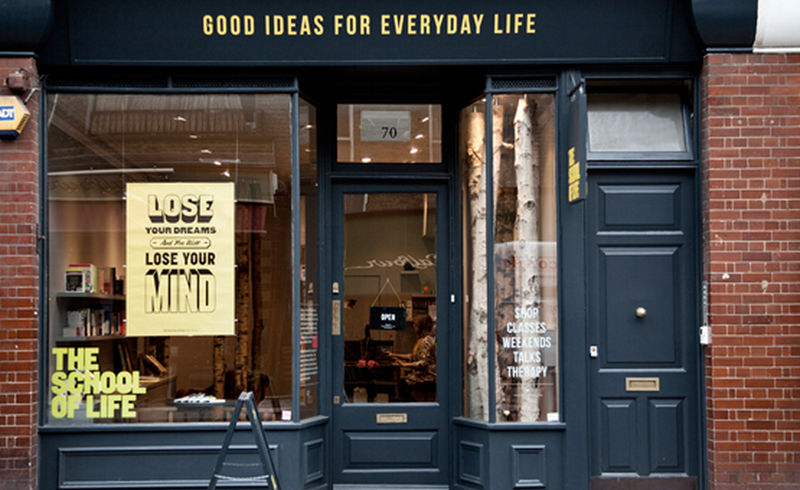 Alain deBotton helped found The School of Life, a retail store in London that offers programs and services exploring how culture can enable living a good life. By constantly focusing on depravity, disaster, crime and bad news, deBotton notes that journalists misunderstand the nature of people’s need for news. People crave good news, stories of hope and optimism that uplift the human spirit. I observed this while recently in China, where CCTV’s English news service offered an endlessly optimistic perspective of the future and the glorious transformation of China now underway. Even though I recognized the firm hand of government propaganda at work, it was a refreshing change from the doom-and-gloom of crime and violence and the pathetic and polarized bickering of American news and talk shows. My best friend Mary O’Connor, a clinical psychologist, has often noted that her patients’ consumption of American news exacerbates depression. DeBotton takes that even further when he claims that “national decline can be precipitated not only or principally by sentimental optimism, but also by a version of media-induced clinical depression” (p. 45). Only by stepping back, disconnecting and learning to see with fresh eyes, can we lead a “flourishing life,” having the capacity to “recognize the times when the news no longer has anything original or important to teach us” (p. 255). The relentless news cycle, with its torrent of stories, discourages introspection and independent thinking. At a time when the Internet brings us unparalleled access to cultural richness, deBotton reminds us of our deeply-ingrained bias to conflate novelty with importance. Awareness of this phenomenon and learning to recognize the difference is an essential dimension of news media literacy. I just ordered it from Amazon… It will be refreshing to read a like-minded optimist!